We've enjoyed a lot of great support from the Ultimate community since our beginnings in early 2011 and we now think that's it's time to give something back! 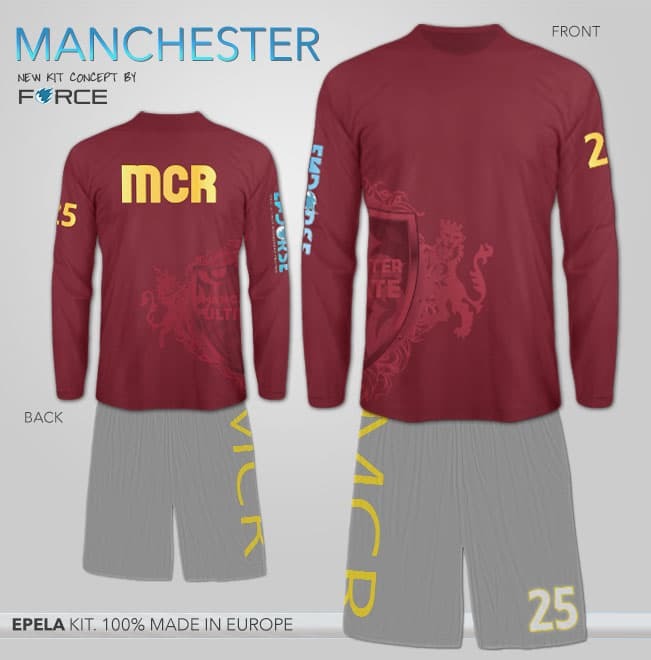 Conditions apply to roster sizes however additional kit may be purchased at preferential rates and we'll offer reductions for kit purchased during future playing seasons. and anything else you think may be important for your bid! We'll be accepting sponsorship requests until the end of January and will announce the selected team or project as soon as possible. No team or project is too small and we'll consider all applications equally, we're looking for teams to get behind and support throughout the playing season and projects which will keep us hooked! Have a look below to read about our previous projects and if you have any questions simply get in contact with us, one of the Force Crew members will be happy to answer your queries. Dutch Champions 2015, 2016, 2017, 2018 and European Champions in 2017 and 2018, GRUT or GET REKT ULTIMATE TEAM is made up of all the stars of the Dutch youth scene and their infectious enthusiasm and good humour make them an absolute pleasure to work with. Force has been proud to sponsor the team during their campaign for a spot at the the WFDF 2018 World Ultimate Club Championships in Cincinnati, Ohio, USA (14 - 21 July 2018), working on a huge range of GRUT branded items to suit their various activities: playing kit, compression sleeve accessories, Argia sun hoodies, screen-printed kit bags, casual-wear ‘fan’ t-shirts, embroidered caps and a mighty ‘Flag Of Honor’ to thank all their loyal supporters both at home and abroad. #rektairlines has taken off and the journey is very exciting so far! 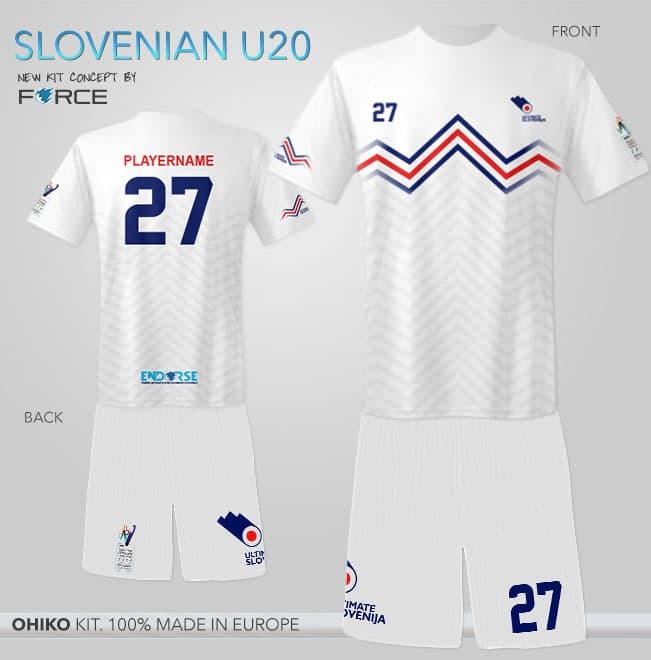 For the first time ever the Slovenian Ultimate Frisbee community is taking two junior U20 teams to the World Junior Ultimate Championship. The event takes place in Wroclaw, Poland, from 30. July - 6. August 2016 and Force Ultimate is delighted to welcome these junior teams to our Endorse project as the 2016 winners! 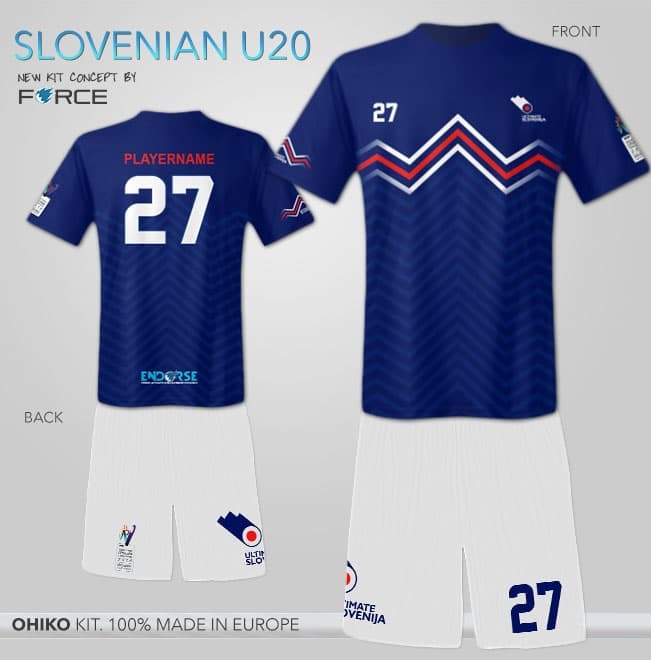 We've worked with team manager and coach Luka Banovic on their new blue, white and red home & away sponsorship kit which features a fully sublimated motif of the highest mountain in Slovenia, the Triglav. This classy kit is steaming off our printers now and we're more than looking forward to following their progress. 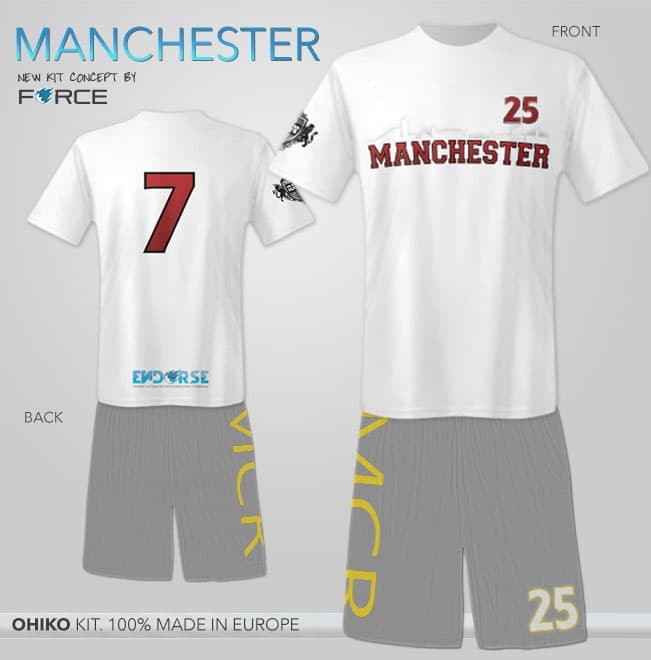 Formed in 2010 under the name ManUP and rebranded in 2012 to Manchester Ultimate, the team finished the UK's 2014 Tour season as seed #8 & UKU Nationals #9. The team had big plans for 2015, including running weekly mixed skills sessions for the Manchester community and for players from the Universities of Manchester, Salford, Sheffield, York & Liverpool, working with the local Women's team and grassroots development club Black Sheep, and participating in weekly elite training with Chevron Action Flash (xEUCF Champions 2009). All this with the aim of developing the club into one of the elite teams in the UK. And their plans seem to have come off nicely! 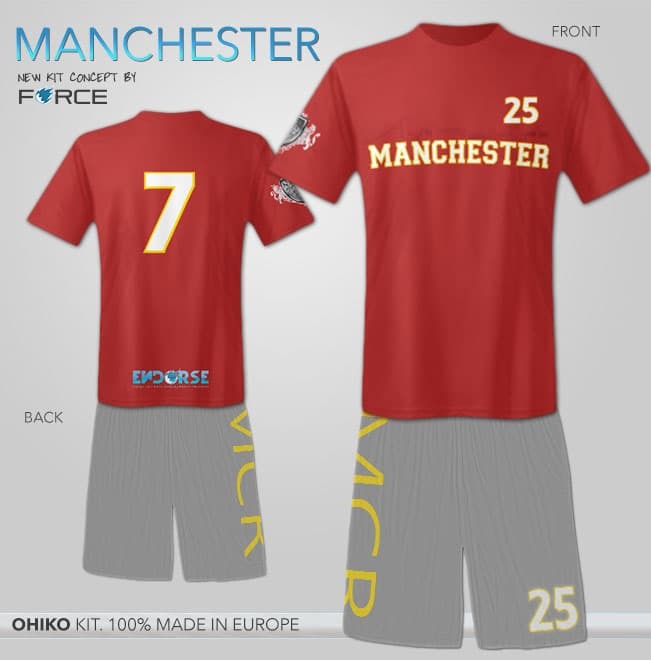 Manchester Ultimate came away as Champions of UK Tour 2015 after a hard fought campaign. Loosing to KaPow! in the Tour 3 final was tough for the lads however overall results meant the team came away with the top spot! Sometimes people speak and ideas are born. During 2013, Julia Cadiach and Gerard Baquer, Ultimate players from the mixed club of Mamadiadors in Tarragona (Spain), let their imagination flow and started discussing the idea of a Frisbee team and a van. Right then and there Nomadisc was born. The basic idea of Nomadisc was to travel and meet new teams abroad. From the 1st to the 26th of August 2014, 16 Ultimate players from Catalonia planned to cross Eastern Europe to meet new teams and share ultimate brotherhood. However, the idea changed quickly when the team realised about the power of Nomadisc. The project needed to be spread and shared in order to reach out the largest number of people and to help promote Ultimate Frisbee in schools and activity centers back home in Catalonia. That’s why Nomadisc decided to make a professional documentary about their exploits and reached out to sponsors to help fund their projects. Force was proud to sponsor Nomadisc by providing team jerseys, flags and other promotional materials.